German fashion house Hugo Boss and German carmaker Porsche have entered into a multiyear cooperation that will see the apparel giant outfitting Porsche's Formula E racing team when the next championship season begins. In its capacity as an official partner to the sport, Hugo Boss – which already boasts a long tradition of motorsports sponsorship – has been engaged in the electric-powered racing series since the end of 2017. From December 2019, the start of the next championship season, Porsche too will be joining the Formula E circuit with its own works team – outfitted by Hugo Boss. The fashion group will also be the official outfitter to the entire Porsche motorsports team worldwide. 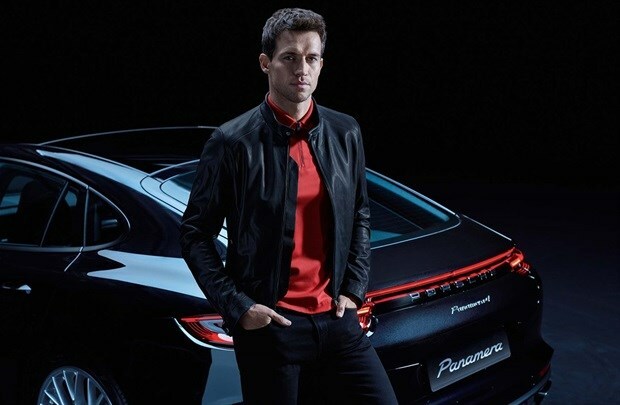 Outside of motorsports, Hugo Boss has also introduced a 'Porsche x Boss' capsule collection. Its standout features include premium leather and wool materials presented in the Porsche and Hugo Boss colours of silver, black and red. Starting in March 2019, a range of menswear styles from the debut capsule collection will be available online and at Boss stores. "Hugo Boss and Porsche are both synonymous with outstanding innovation and consummate quality," commented Mark Langer, CEO of Hugo Boss AG. "We have been working successfully with motorsports over recent years and decades. That is why, with the future-oriented Formula E, I am especially pleased that we are taking our cooperation to a new level." "Formula E is an exceptionally attractive racing series," said Oliver Blume, CEO of Porsche AG. "It offers us the perfect environment to strategically evolve our vehicles in terms of efficiency and sustainability. We're looking forward to being on board in the 2019/2020 season. In this context, the renowned fashion group Hugo Boss represents the perfect partner to outfit our team."